Don’t get me wrong—I love a great pixie cut. In fact, Michelle Williams’s 2011 chop still gives me goosebumps (that cut and that blonde—everything). But in order to pull off a transformation of that caliber, one needs a certain type of confidence I will freely admit I lack. So though I frequently worship the likes of Cara and Katy from afar, I have always known that a drastic chop wasn’t in my future. However, rewind to about four years ago, when, as I sat in one of Minneapolis’s most touted salons, I disbelievingly watched my just-bleached strands quite literally fall from my burning scalp—without any instigation. Panic. Yes, the aftermath of what my friends and I refer to as “the bleach apocalypse of 2013” may have been a traumatizing mess, but thanks to a trusted arsenal of products, rituals, hair goddesses—and, yes, a few healthy trims—my locks are back in tip-top shape. Keep reading for the full story and an in-depth look at the exact products and advice that brought my hair back from the dead. Simply put, I’ve never been much of a “hair girl,” probably because I don’t have that exceptional of hair to begin with and I have always been okay with styling my super-fine locks in the most basic and easy of styles. (Ponytails, topknots, and sleek blowouts are my jam.) Aside from the fact that I’ve been getting highlights since middle school, I have been pretty easy on my hair, religiously applying deep conditioners, heat protectants, and hair oils to my vulnerable blonde strands. Though I was a platinum-blonde youngster, my natural hue has gradually darkened to a rather mousy shade of dishwater. Yes, I’ve considered dabbling in shades of browns and brondes, but I have always identified as a blonde, and I can’t really imagine myself in any other shade. Over the years, I have tried to stay relatively consistent with colorists; however, after my go-to gal left my well-known (and highly regarded) Minneapolis salon, I was referred to someone new, who, for efficiency’s sake, I’ll call Ashley (not her real name). Since all of my previous color at the salon had been recorded and since Ashley seemed to be a very capable colorist (she had landed a job at this prestigious salon, after all), the first few appointments went well, and I still got the signature bright and buttery blonde color I was accustomed to. However, three or four appointments in, I noticed the tone was (very) off, the end result being much too ashy for my liking. My hair looked grayish and dull, even though Ashley knew I wanted my typical bright-white blonde. (I had even been bringing in pictures of my old color to remind her of what I was looking for.) I missed the way my previous blonde shade brightened my complexion and was getting increasingly frustrated with the super-off color and wasted dollars. After talking with Ashley and once again showing her my old pictures (think Julianne Hough–level brightness), I felt confident as she began foiling and painting my hair. So three hours later, after being shampooed, toned, and returned to the chair, I was instantly frustrated. My hair looked dark. Yes, hair always looks darker when it’s wet, but I had been blonde for long enough that I knew what I should be seeing, and the ashy brown color I saw in the reflection was definitely off the mark. Praying for some kind of miracle, I bit my tongue, pursed my lips, and waited patiently as Ashley began drying my hair. However, just as expected, the ashy color didn't budge. Without saying much, I got up, paid, and went out to my car, where I immediately burst into tears. Realizing that yet again, I had paid an arm and a leg for a color I pretty much hated (and was far from what I asked for), my disappointment began to turn to anger. Fearing damage, I knew I wouldn’t be able to get my color redone for at least a couple of months, and I was at a complete loss about what to do. Finally, I decided to go back up to the salon and talk to Ashley. I knew that not much could be done color-wise, since I had just undergone a three-hour process, but at the very least, I felt I deserved my money back—or something. So against my better judgment—but in a completely desperate state—I agreed. Within the next half hour (yes, 30 minutes or less), Ashley applied a high-vol bleach over my entire head, sat me under the dryer, and rinsed me out. It wasn’t until I arrived back at her station that the panic and deep, deep regret began to slowly settle in. I stared at the dripping, tangled white rat’s nest on the top of my head and knew I had made a serious mistake. I held back tears as Ashley slowly tried to comb out my hair. With even the slightest touch, chunks of bleached hair began to fall. Equally panicked, Ashley hurriedly instructed me to wait until my hair dried to finish brushing it out at home. I’m not kidding when I say that she quite literally pushed me out the door. As I drove home, out of the corner of my eye, I could see my hair falling and breaking at an alarmingly fast rate. Crying and struggling, I had no clue where to start. Ultimately, I made an appointment at another nearby salon for the next day. The comforting angel of a receptionist was extremely reassuring, telling me there were a number of things the staff could do to try to salvage my hair. So ever-so-carefully pulling my tangled hair into a scrunchie, I went to sleep hoping for a miracle. When I arrived at the salon the next day, the owner and about 10 other stylists (no exaggeration—I’m now a legend and learning reference for new employees) surrounded me and my matted, bleached hair. The owner’s concerned and frustrated expression didn’t do much to soothe my once-again rising panic, and after studying my hair for awhile, he told me my hair would take a long, long time to recover. It would need the right balance of protein and moisture, along with frequent trims and cuts to try to balance the breakage (which would create all sorts of funky layers on its own). The first step? 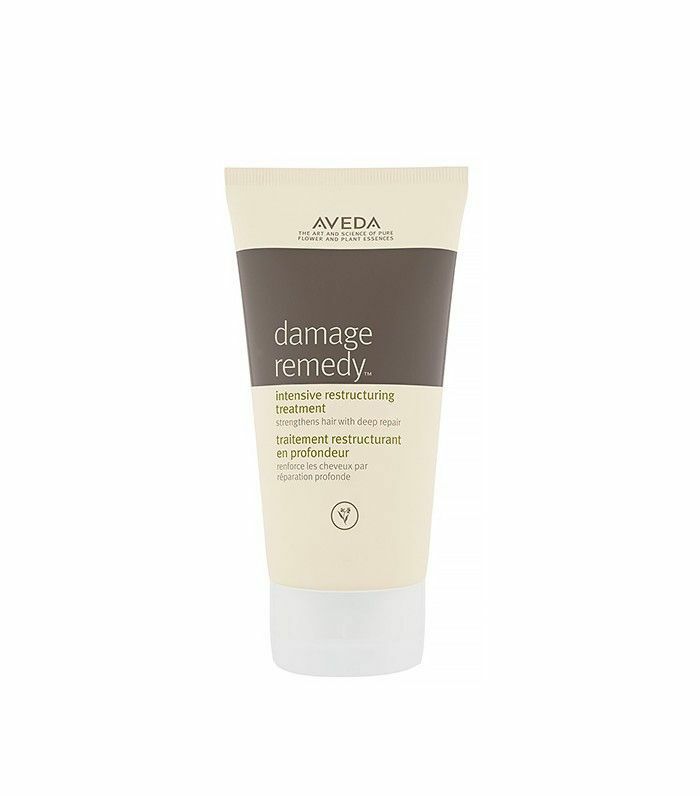 An intensive protein treatment applied in-house, the purpose of which was to just stop the breakage that was happening. (FYI: Most salons have a multitude of hair treatments that range in strength and purpose. Even though my hair is currently in a much healthier state, I still alternate between moisture- and protein-packed treatments every couple of months to help maintain my hair’s integrity. I recommend this for anyone who frequently styles with heat or gets regular color). After the treatment, the stylist (with the owner’s careful supervision) slowly began to comb through my hair. I closed my eyes, but the fistfuls of hair I later saw on the floor, in the comb, and tangled in the stylist’s hands still make me cringe. Then came the cut. I got about three or four inches taken off, leaving me with an extremely thinned-out shoulder-length style—a far cry from the razor job I had been dreadfully anticipating but still an uncomfortable change. After lending some advice as far as products and procedure, the salon’s staff had done all they could do and advised me to return within the next month for another consultation, treatment, and trim. They had done their part; now I had to do mine. After visiting numerous other salons, doing hours and hours of research on the internet, and consulting staff members at places like Ulta and Sephora, I came up with the regimen that would ultimately get my hair back into shape. Keep scrolling for my saving-grace products, and find out how I used them! This pair by Alterna has the right ratio of protein and conditioners and is perfect for blondes (and any other fellow hair abusers). In fact, despite its protein content, the formula is gentle and balanced enough that it can be used daily. I used this shampoo and conditioner combo religiously for about a month and then began to alternate with an extremely moisturizing duo (see next slide). It truly helped rebuild and repair my strands, and I felt like my hair became stronger and more manageable after each and every use. Four years later, I still have these guys stashed in the bathroom for when my hair feels a little worse for the wear. 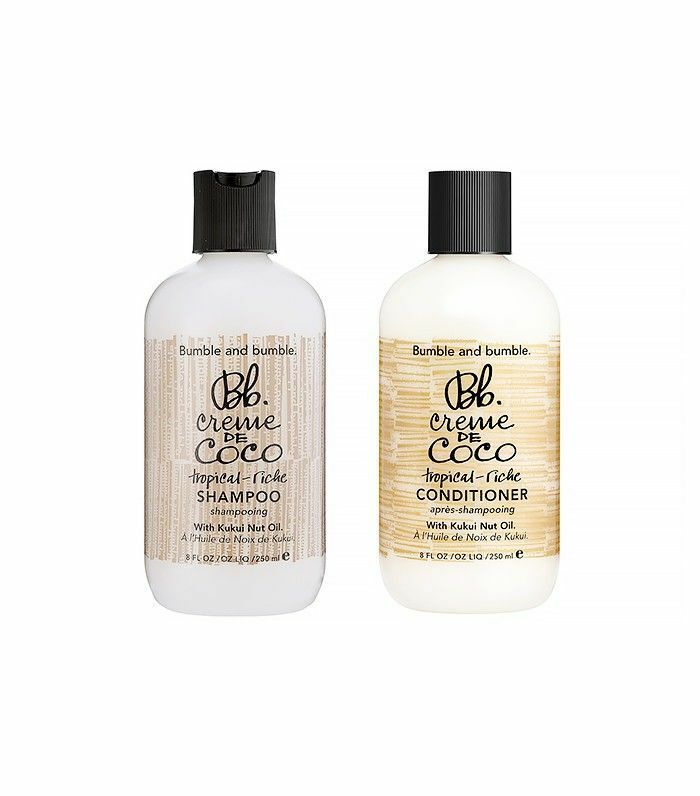 This duo by Bumble and Bumble is rich and deeply hydrating—exactly what dry, damaged strands crave. Typically, this heavy pair wouldn’t work with my super-fine texture, but considering their dry and desperate state, the combo worked utter magic. Not only is the scent amazing (think Hawaii in a bottle), but no other shampoo and conditioner has ever delivered such shine and softness. A word to the wise, however: A little goes a long way. I’m not kidding when I say that this stuff is magic in a tub. (Side note: I have gotten everyone from my friends to my mom completely addicted.) Typically, every other wash, I would use this creamy mask in lieu of whichever conditioner I would have normally used that day. I would squeeze the excess water out of my hair, liberally slather it from end to root, whip a shower cap on, and proceed with all other shower duties before rinsing after about 10 minutes. I was so addicted to this mask’s dramatic results that about once a week, I would use it on dry hair as an overnight treatment—simply unbraiding and washing per usual in the morning. This mask may have been the single most game-changing product in my regimen. 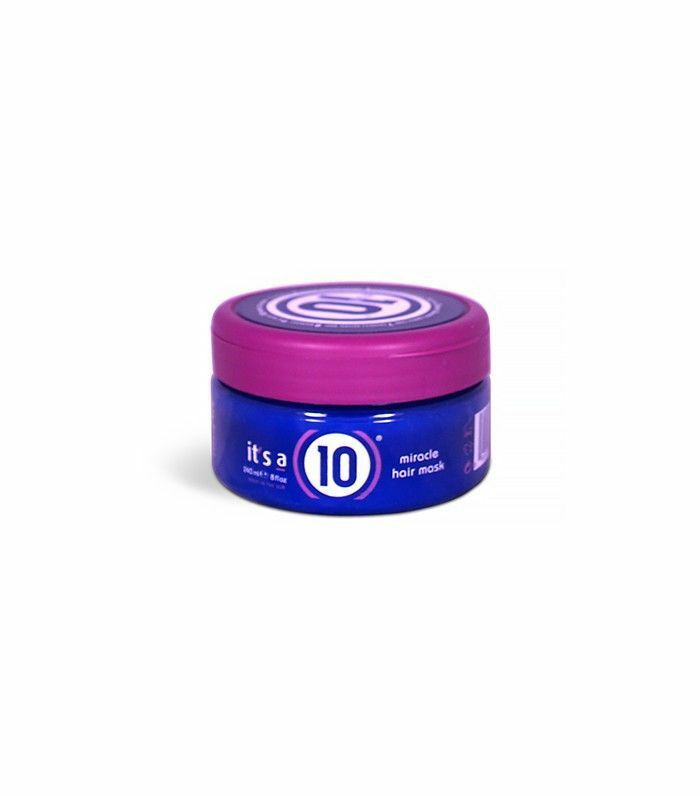 Simply put, if your hair needs help, this is your answer. This product was another great way for me to incorporate an extra hit of protein into my hair routine. And since it’s Aveda, it smells amazing. 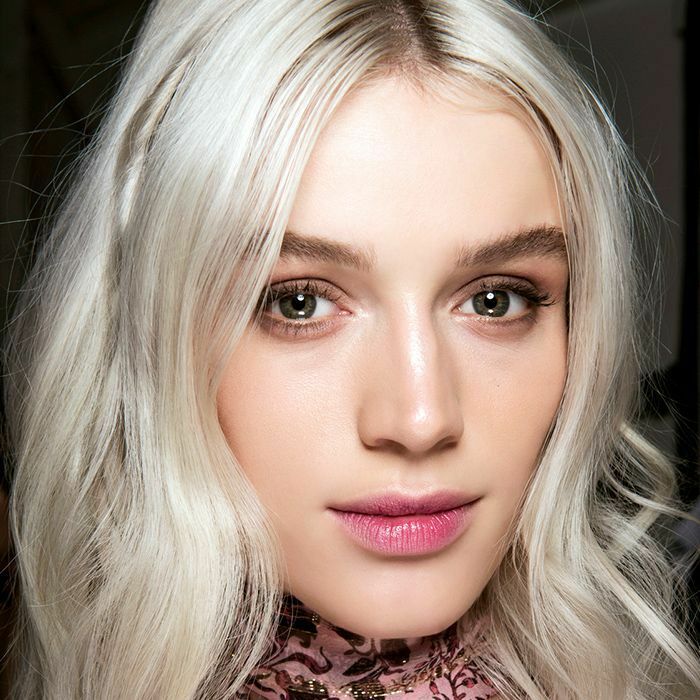 This product stops tangles (which blondes are extra prone to) in their tracks. 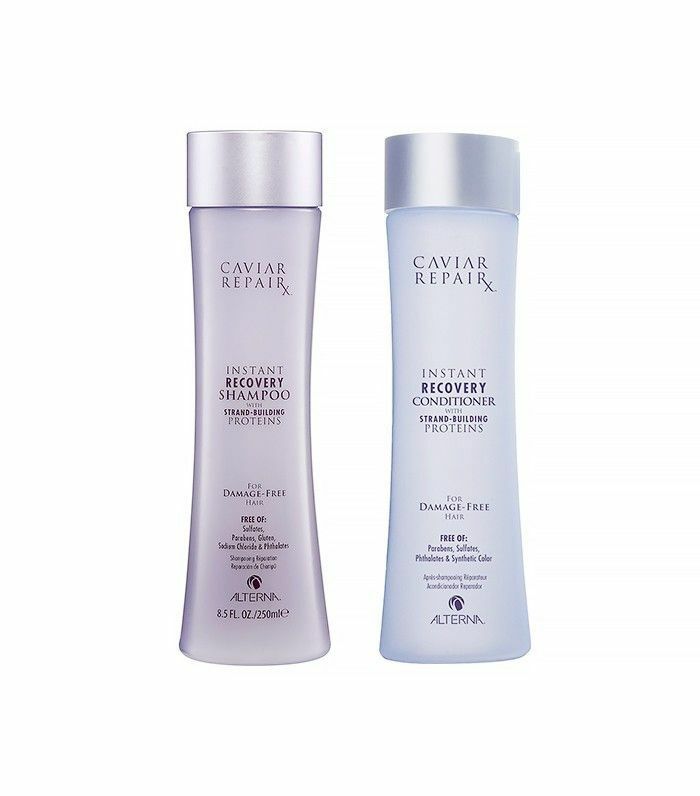 I've used both the keratin-infused version and the original, both of which are great. 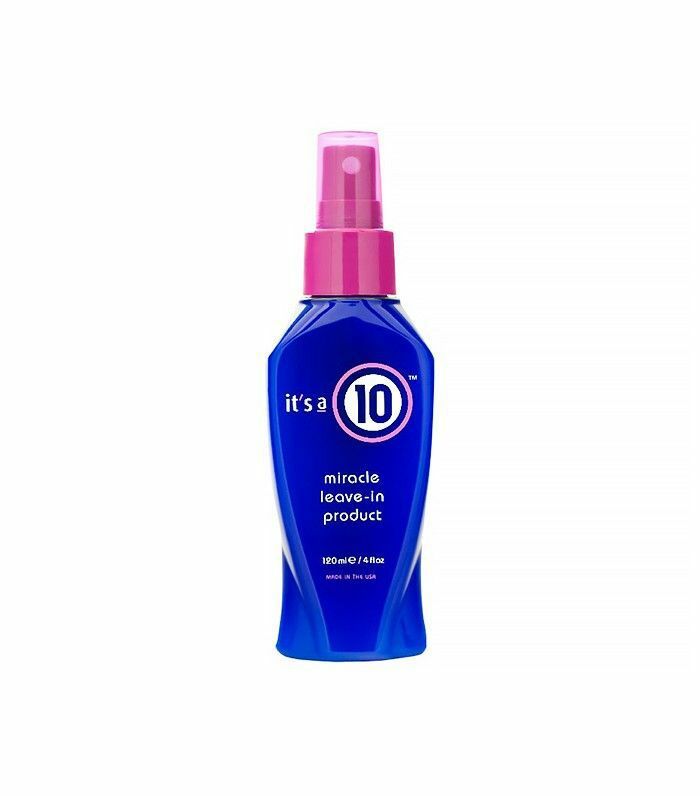 Since I didn't even touch a blowdryer or flatiron for about six months, I relied on this light leave-in product to deliver shine, manageability, and natural body to my hair. I Put 3 Wavy Hair Tutorials to the Test: See the Results!